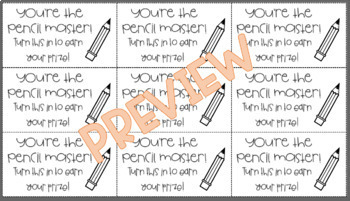 Is your classroom falling victim to the Pencil Monster? Are your kiddo's playing Pencil Wars in your homeroom? 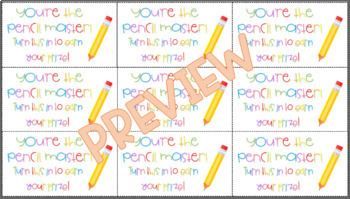 Use these tags as a visual for your students as they manage their supplies. 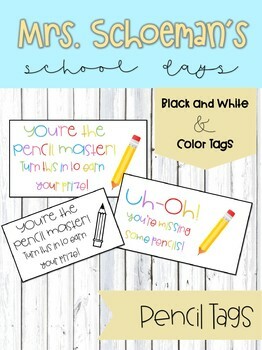 This bundle includes black and white or color tags that can celebrate a successful student or remind a student to try harder the following week.